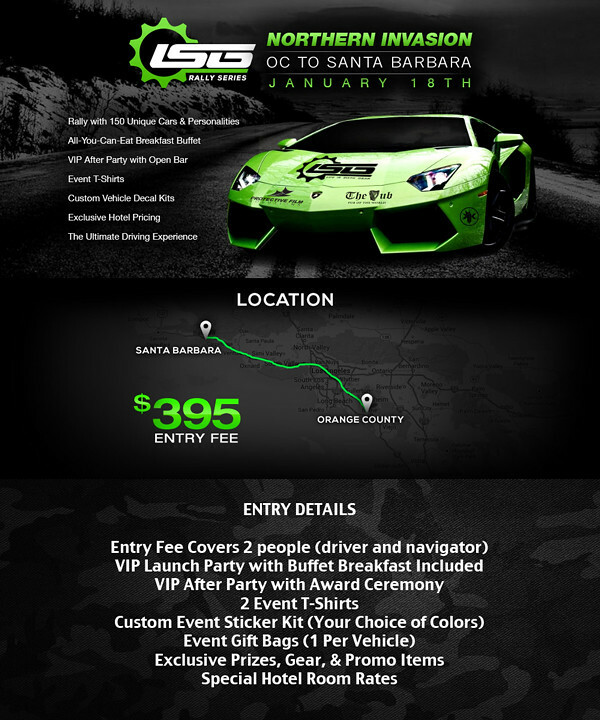 Kick off the New Year with a rally from Orange County to Santa Barbara. Join Life In Sixth Gear (LSG) crew for the Northern Invasion on January 18th. Don’t get left in the dust.